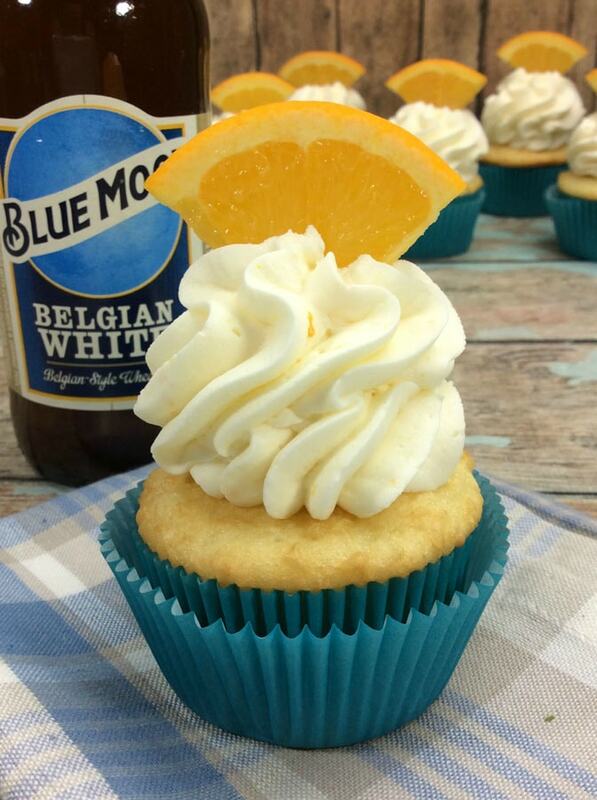 You are going to love these Blue Moon Boozy Cupcakes! 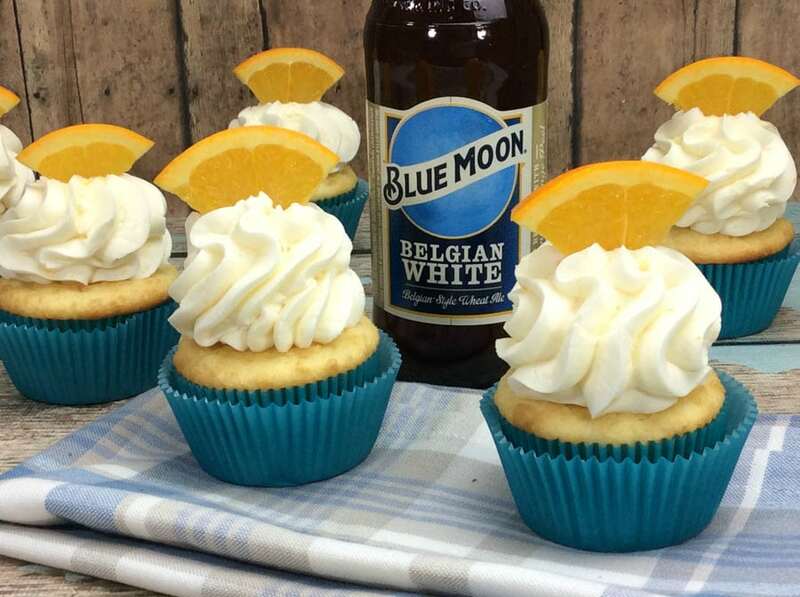 You are going to love these Blue Moon Boozy Cupcakes! 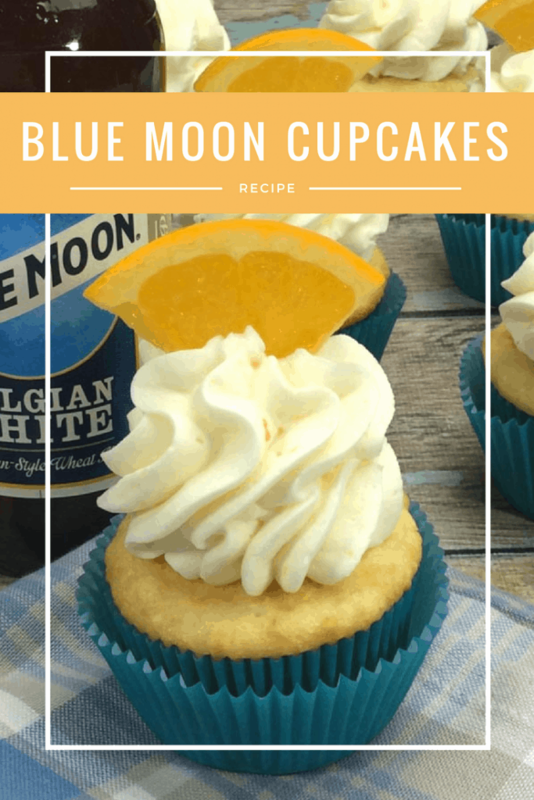 The hint of orange combined with that Blue Moon flavor makes a perfect adult dessert! I was trying to think of a new cupcake flavor and beer came to mind. 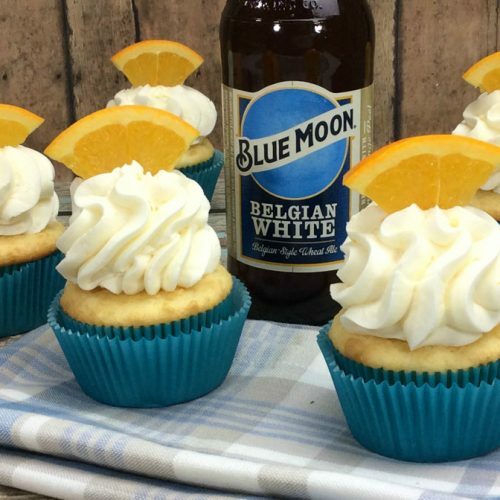 Could we make Blue Moon Boozy Cupcakes? We could and we did! This is the perfect dessert for an adult party. Whether it’s a tailgate, St. Patrick’s Day party, or just a cookout with friends, these Blue Moon Cupcakes will be the hit of the party! 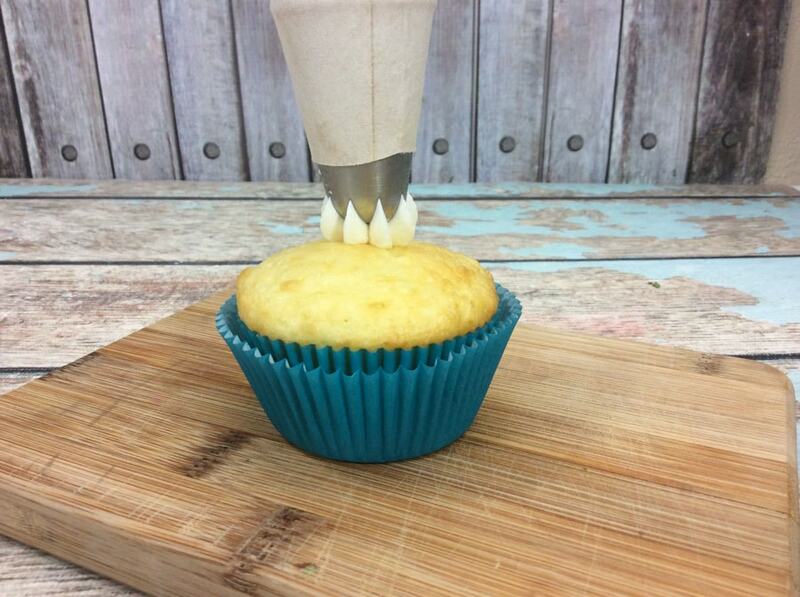 Preheat your oven to 350° and line your cupcake pan with blue cupcake liners. 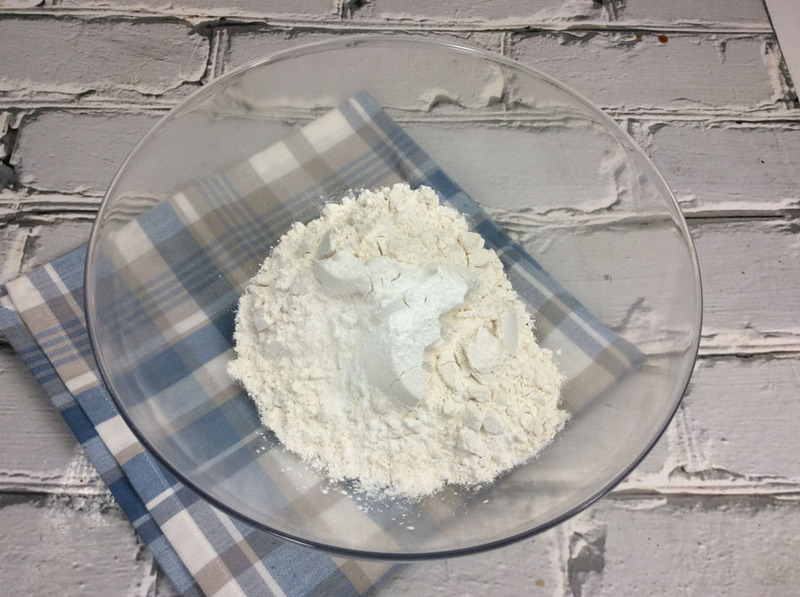 In a large mixing bowl, mix together your flour, baking powder, and sea salt and set aside. 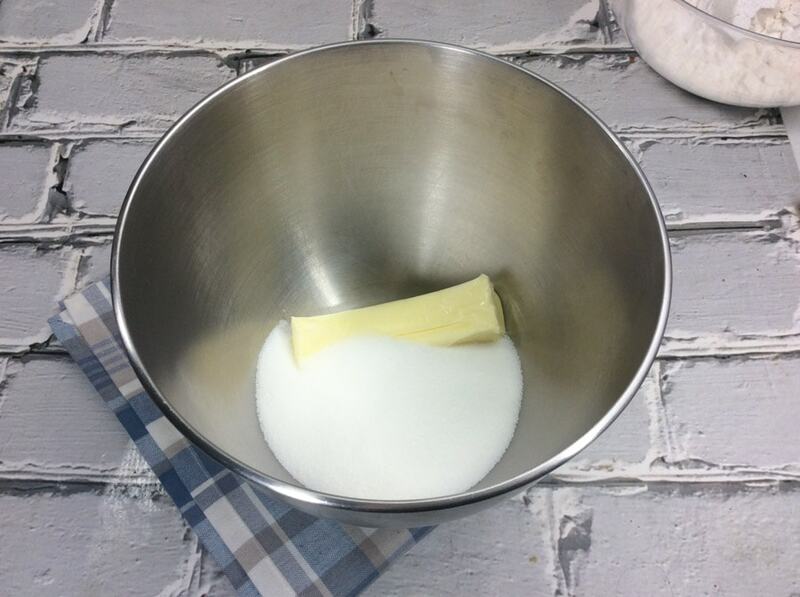 Using a standing mixer, cream together the butter and sugar until combined and fluffy. Beat in the eggs one at a time until fully incorporated after each egg. Mix in the vanilla, 3 tbsp of orange zest, blue moon, and milk. 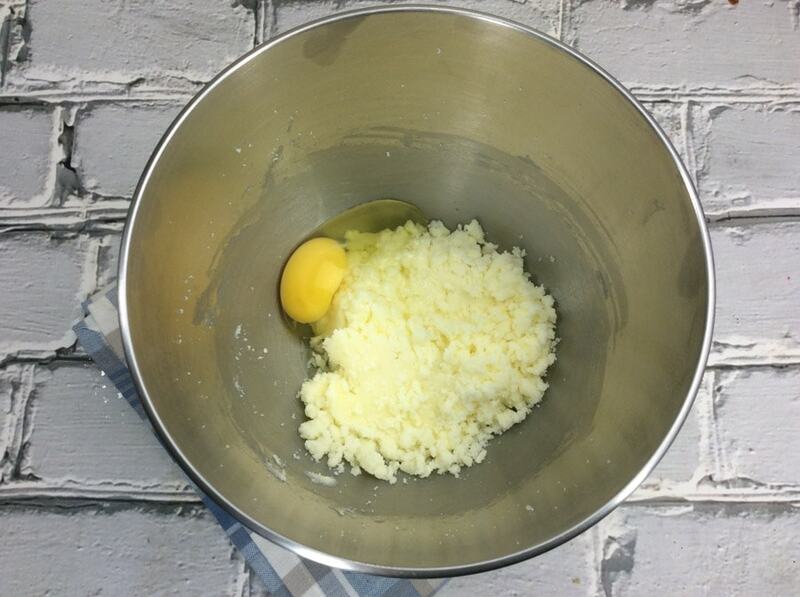 Gradually mix in the flour mixture until combined and smooth. Scoop batter into the cupcake liners filling them 3/4 full. Bake in the oven for 21 minutes. 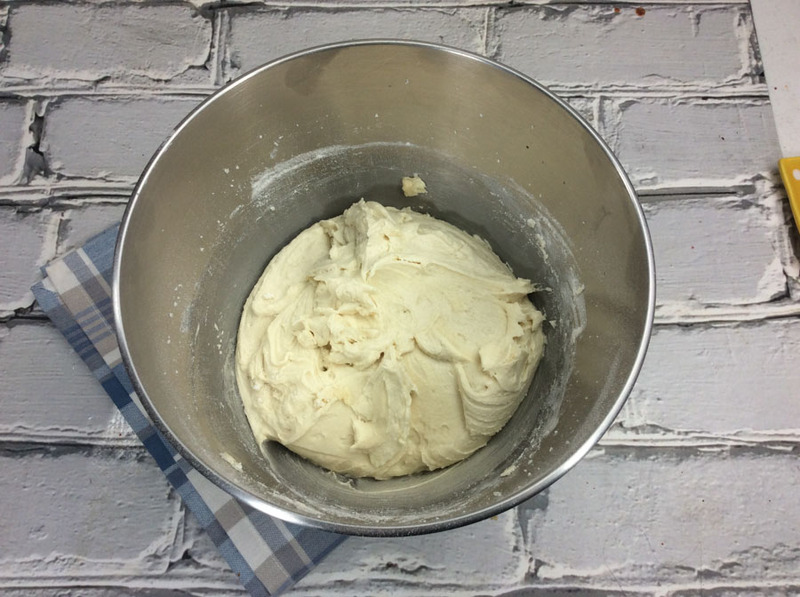 Using a standing mixer, combine all ingredients and mix until smooth and stiff peaks form. 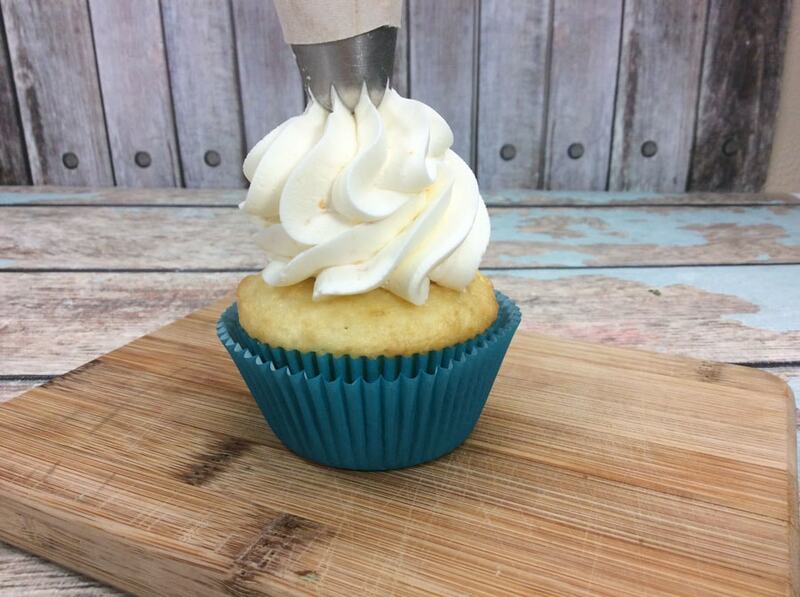 Scoop frosting into piping bag. Pipe frosting onto cooled cupcakes. Top with an orange slice. I was trying to think of a new cupcake flavor and when I thought orange, Blue Moon came to mind. 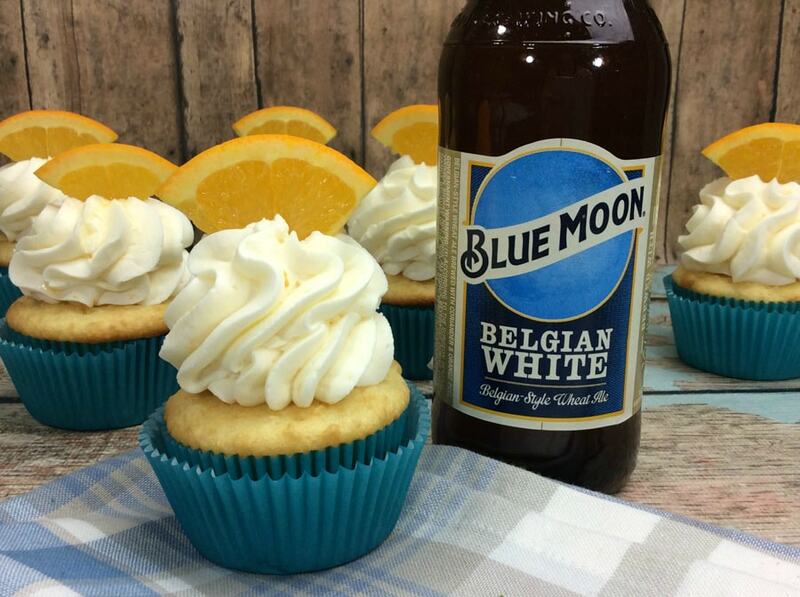 Could we make a Blue Moon Cupcake? We could and we did! This is the perfect dessert for an adult party. Whether it's a tailgate, Oscar party, St. Patrick's Day party, or a cookout, these Blue Moon Cupcakes will be the hit of the party! Preheat your oven to 350° and line your cupcake pan with blue liners. Mix in the vanilla, 3 tbsp of orange zest, Blue Moon Beer, and milk. Pipe frosting onto cooled cupcakes and top with an orange slice. Enjoy! Enjoy this adult dessert at your next party, or bring to a friend’s gathering. You’ll be the hit of the party! Looking for more delicious boozy recipes? Check out these Bailey’s Irish Cream Coffee Cookies or these Guinness Cupcakes with Sweet Cream Chocolate Frosting. Can’t wait to make this. My family will love this. Not for kiddos though! Hope the adults enjoy it! i like blue moon cupcace very much. This dessert is delicious and beautiful, toioi will save this recipe to make my son’s birthday party.